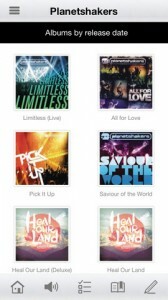 Planetshakers is an iPhone app developed byBible and Journal App LLC. 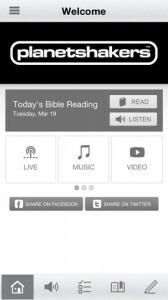 If you are a Christian who is interested in serious Bible studies, religious sermons, or music, this app might be of interest to you. The Planetshakers app allows users to read the Bible and take notes in a personal, devotional journal. In addition, you can also watch videos and streaming events, or listen to music and religious sermons. In terms of social integration for your faith, the Planetshakers iPhone app allows users to share their favorite in-app content with friends via Twitter, Facebook, or email. Entries in your personal diary are fully secure to protect your privacy. However, you can share them via Facebook, Twitter or email if you want to. If you’ve always wanted to read the Bible cover-to-cover, Planetshakers offers a daily Bible reading plan that will get you through the Old Testament in a year and the New Testament in even less. The developers state that these plans involve about 15 minutes a day or reading or listening to Bible audio tracks. 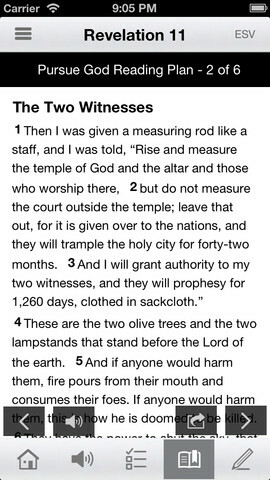 However, you can’t start from the beginning: the five or so chapters included each day change at the whim of the developers…so you can’t read the Bible at your own pace from within the app. The audio tracks sound very professional, with readers possessing clear voices and good diction. 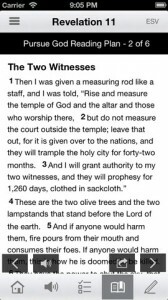 Because Planetshakers has an attractive interface and multiple versions of the Bible to choose from, it is an interesting app to use for comparing Bible verses in different texts. 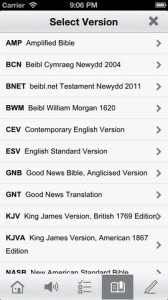 Some of the Bible options include the Amplified Bible, the Beibl William Morgan 1620, the English Standard Version, The King James Bible, the New American Student Bible, and the Version Reina-Valera 1960. If you’re into songs of praise and worship, Planetshakers offers a diverse list of Christian-influenced music to listen to. Albums are sorted by release date, making it easy to stay current on what’s new. If you are passionate about the Bible, check out this app. 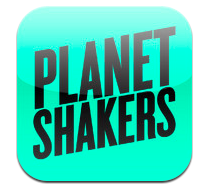 Planetshakersis compatible with iPhone, iPod touch, and iPad. Requires iOS 5.0 or later. This app is optimized for iPhone 5.